1. Colorful Eggs (click image for detailed instructions). 2. 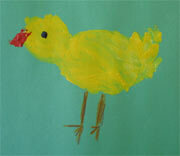 Egg Hunt Painting (click image for detailed instructions). 3. Little chicken (click image for detailed instructions). 4. Easter Bunny (click image for detailed instructions). 5. 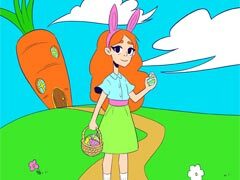 Carrots for the bunny. Ask a child what bunnies like to eat. Make some carrots from play-dough. 6. 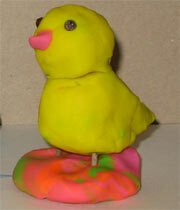 Yellow Chicken (click image for detailed instructions). 7. 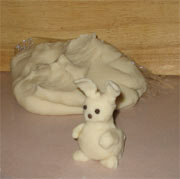 Play dough Bunny (click image for detailed instructions). 8. 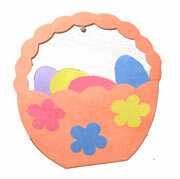 Play-dough Easter Basket (click image for detailed instructions). 9. 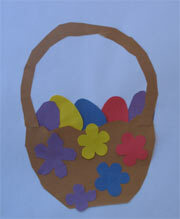 Easter Basket (click image for detailed instructions). 10. Egg Hunt (click image for detailed instructions).